A brief story of the beginning. The "International Flute Festival - Pécel" was launched in 2010, then only national, but now internationally interested event, is being organized every two years in the baroque styled Ráday-castle in Pécel. The festival is organized and created by Parnassus Foundation in Pécel, whose professional assistant and program coordinator is Tímea Fábián flute artist. The Castle which gives home to the Flute Festival was built by Pál Ráday, who was origin from a mid-noble family, and besides being a secret chancellor to II Ferenc Rákóczy, he became known as a leader of Protestants after the fall of the War of Independence. 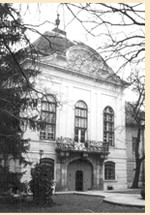 A mansion built approx 250 years ago was expanded into a baroque castle by Pál Ráday’s son, I. Gedeon and he made it a cultural center in the area. Concerts and performances are hosted in the assembly hall, whose walls are decorated with frescoes made with a special technique in 1766. The series of wall paintings illustrate 15 scenes of Ovidius’ Transitions work, below which verses and inscriptions can be read, written by Gedeon Ráday. For the first time in 2010, we celebrated the 110th anniversary of Károly Doppler's death, whose work and intellectual legacy is an important part of the European flute scene. Although he was not Hungarian, he still confessed himself so together with his brother, also excellent flautist Ferenc Doppler. Performers at the Festival concerts were: Dr. Gyula Csetényi, Gyula Czeloth-Csetényi, FlautanDuo / Eszter Illés and Tímea Fábián – flute, Éva Mikola – piano, Zsolt Nagy – horn, Ildikó Szakács vocals, and the students of the Pécel Music School. Dr. Gyula Csetényi’s presentation on Doppler brothers captured the non-professional audience as well. The music material of the 2012 Flute Festival was mainly based on the chamber music, within that it was built on the "sonata" genre. A very colourful and high-quality concerts were interpreted to the audience by classy performers: Dr. Béla Drahos, Gergely Bodoky, Zsuzsa Ittzés and the FlautanDuo / Eszter Illés and Tímea Fábián flautists, Júlia Szilvásy harpist, as well as József Balog and Tamás Vasvári pianists have enriched the audience with lasting experiences. From this year, in addition to the concerts, a master course was featured in the program, which was held by Dr. Béla Drahos, "The Classical Flute Song". The flute festival scheduled for 17-19 October 2014 had many interesting facts both for professionals and music lovers as well. Since then, the range of performers has expanded with foreign artists as Prof. Hansgeorg Schmeiser flute artist and piano pianist Atsuko Wada. Both are teachers at the Vienna Music Academy, members of several chamber ensembles. In addition to the evening concerts the festival served with some other surprises to the flautists. This year, two masterclasses were held at the event by Gergely Ittzés and Prof. Hansgeorg Schmeiser on October 18 and 19 at 10 am. Students from many parts of the country enjoyed a pleasant and at the same time high quality performances, where they could master their flute-related knowledge. With organization of masterclasses and other programs the most important goal of the festival for the foundation is: to introduce domestic and foreign flute artists, flute workshops and the spiritual training of the flautists of next generation. The program in 2016-os surprised the domestic audience with new artists. Claudio Arimany, a Catalan flute artist who has visited Hungary as a student of the world famous Jean-Pierre Rampal with the aim of introducing the 10-part CD series of works devoted to and intended to be published - a piece of the musical work and intellectual legacy of the Doppler brothers - with representatives of the Hungarian flute professionals and the enthusiastic audience. In addition to his concert, he also held a masterclass at which Secondary School, College and University students were actively involved into chamber groups. Another invited famous guest of the event was Benedek Csalog, a baroque flute artist, who is a recognized artist worldwide, and alongside his excellent musical game those interested who participated his masterclass could assure interest in Baroque music, and in particular the outstanding expertise of Baroque flute. Other performers of the festival were: Ildikó Bokor and József Gábor pianists, Tímea Fábián and Gergely Ittzés flautists as well as Dóra Pétery organ and harpsichord artist. This year, besides high-quality concerts and performances, a great musical instrument exhibition and show could take place, thanks to the Wiener Flötenwerkstatt flute workshop from Vienna (it is one of Europe's largest and most sophisticated instrument making and selling shops) as one of the main sponsors of the 2018 event, they will visit the festival again. The Flute Festival has an important purpose to introduce domestic and foreign flute "workshops" not only within the profession but also outside. The Parnassus Foundation in Pécel also considers it important to develop the spiritual training of the next generation of flautists, which, besides the Hungarian performers, would like to support the organization of concerts of foreign artists and masterclasses. The Foundation and its assistants are confident that they will continue to assist the work of the Hungarian flute profession in the future. For the implementation of future plans, we kindly ask our supporter’s help. Thank you. 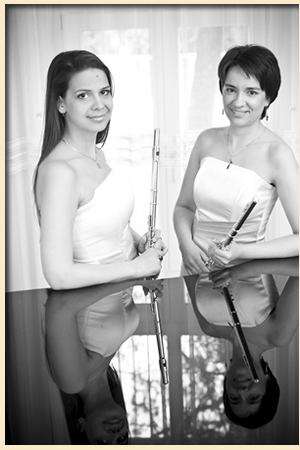 Tímea Fábián and Eszter Illés flute masters are the two performers constituting FLAUTANDUO, the flute duo founded in 2004. They both graduated at the Bartók Béla Faculty of Music at Miskolc University, under the tuition of Professor Dr. Gyula Csetényi. They continued their studies with Professor Lóránt Kovács at Liszt Academy of Music and got their degree in 2003 and 2004. Since the foundation of the duo they have given a number of concerts in well-known concert halls and churches throughout Hungary. The principal aim of the duo since its forming has been acquaintaining the audience with the compositions written onto this musical instrument compilation. Their repertoire character pieces affect all of the eras of the music literature, a special attention is paid to the lecture of modern or contemporary pieces of music on their concerts. In 1996 and 1998 Tímea Fábián won an award of excellence and contemporary prize at the Festival of International Flute Duos and Minor Bands in Balassagyarmat. 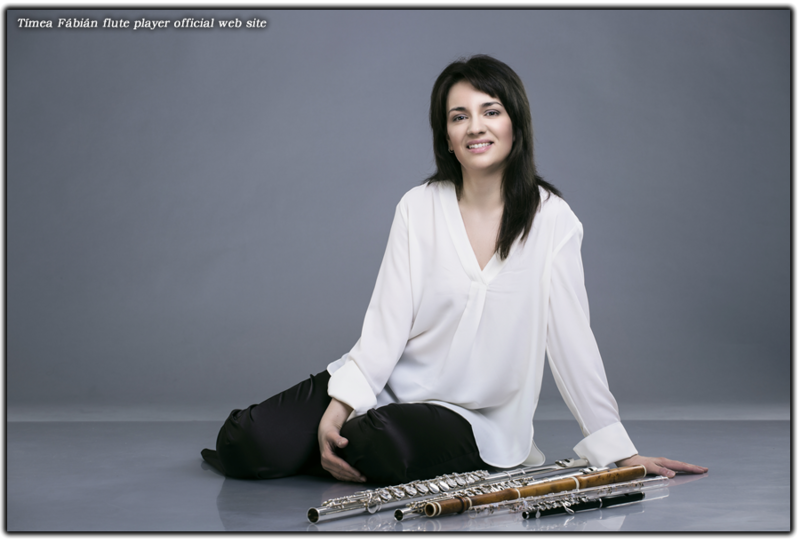 She won first prize at the National Flute Competition of Szent István Secondary School of Music and in 2002 she was among the best 12 artists at the International Flute Competition in Krakow. She was an active participant of the following courses: In 1998 she took part in a course led by Michael Faust, in 2001 in a Jossy Amheim course and in 2003 she went to Munich to participate in the course of András Adorján. In 2001 she became member of the orchestra of the Miskolc National Theatre. (Apart form her performances and studies she also started a teaching career.) From 2006 to 2007 she taught in Bartók Béla Secondary School for Musicians in Budapest and from 2002 she has been working as a chamber and flute master in the Conservatoire of Pécel Town. In 2006 she was an invited performer of the „Ars Antiqva Europea” Festival held in Slovakia. She is the founder of FlautanDuo and an organizer and coordinator of The Flute Festival in Pécel in 2010 and 2012. The love and devotion that Eszter Illés has for music can be traced back in her family. Her mother’s uncle, Sándor Végh is a world famous violin master, whose genius work has proved highly inspiring for Eszter throughout her career. Between 1999 and 2004 she attended a number of master courses led by Lóránt Kovács, Kató Motoaki, Yossi Arnheim and Auréle Nicolet. She won a silver award at the County Flute competition in 1998. In 2002 she won second prize (There was no first prize) at the National Competition of Teacher Training Colleges. She worked as a master of flute in Bartók Béla Secondary School for Musicians in Budapest from 2007. At the same time she was teaching at the Bartók Béla Institute of Music at the Miskolc University till 2010. At present she is a PHD student at the University of Pécs. The same year, at the National Flute Reunion, they performed an Iván Madarász composition “The three odd dances”, with great success, followed by other similarly well-known works. In November they gave concert to a large audience in the salon of the Hungarian National Museum in the framework of an exhibition titled “A végtelen utazás- utak térben és időben” (A never-ending travel – journeys into space and time).